No matter what your politics, beliefs, or even your sports team, we can all agree on one thing: robocalls are the scourge of modern times. These unsolicited auto-dialed spam calls bug you dozens of times a week — sometimes more — demanding you “pay the IRS” or pretend to be “Apple technical support.” Even the now-infamous Chinese embassy scam, recently warned about by the FBI, has gained notoriety. These robocallers spoof their phone number to peddle scams and tricks — but the calls are real. Some 26 billion calls in 2018 were robocalls — up by close to half on the previous year. And yet there’s little the government agency in charge — the Federal Communications Commission — can do to deter robocallers, even though it’s illegal. Although the FCC has fined robocallers more than $200 million in recent years but collected just $6,790 because the agency lacks the authority to enforce the fines. So, tough luck — it’s up to you to battle the robocallers — but it doesn’t have to be a losing battle. These are the best solutions to help keep the spammers at bay. Any winds of change will come from the big four cell giants: AT&T, Sprint, T-Mobile, and Verizon (which owns TechCrunch). Spoofing happens because the carriers don’t verify that a phone number is real before a call crosses their networks. While the networks are figuring out how to fix the problem — more on that later — each carrier has an offering to help prevent spam calls. AT&T‘s Call Protect app, which requires AT&T postpaid service, provides fraud warnings, and spam call screening and blocking. Call Protect is free for iOS and Android. AT&T also offers Call Protect Plus for $3.99 a month which offers enhanced caller ID services and reverse number lookups. Sprint lets customers block or restrict calls through its Premium Caller ID service. It costs $2.99 per month and can be added to your Sprint account. You can then download the app for iOS. A Sprint spokesperson told TechCrunch that Android users should have an app preinstalled on their devices. T-Mobile already lets you know when an incoming call is fishy by displaying “scam likely” as the caller ID. Better yet, you can ask T-Mobile to block those calls before your phone even rings using Scam Block. Customers can get it for free by dialing #662# from your device. Verizon‘s Call Filter is an app that works on both iOS — though most Android devices sold through the carrier already have the app preinstalled. The free version detect and filter spam calls, while its $2.99 a month version gives you a few additional features like its proprietary “risk meter” to help you know more about the caller. These apps and services won’t be a death blow to spam calls, but they’re meant to help more than they hurt. Your mileage may vary. Many of the premium app features — such as call blocking — are already options on your mobile device. (You can read more about that later.) You may not need to pay even more money on top of your already expensive cellular bill if you don’t need those features. You may get false positives. These apps and services won’t affect your ability to make outbound or emergency calls, but there’s a risk that by using a screening app or service you may miss important phone calls. You don’t have to just rely on your carrier. There’s a lot you can do to help yourself. There are some semi-obvious things like signing up for free to the National Do Not Call Register, but robocallers are not marketers and do not follow the same rules. You should forget about changing your phone number — it won’t help. Within days of setting up my work phone — nobody had my number — it was barraged with spam calls. The robocallers aren’t dialing you from a preexisting list; they’re dialing phones at random using computer-generated numbers. Often the spammers will reel off a list of numbers based off your own area code to make the number look more local and convincing. Sometimes the spoofing is done so badly that there are extra digits in the phone numbers. Another option for the most annoying of robocalls is to use a third-party app, one that screens and manages your calls on your device. There are, however, privacy tradeoffs with third-party apps. Firstly, you’re giving information about who calls you — and sometimes who you call — to another company that isn’t your cell carrier. That additional exposure puts your data at risk — we’ve all seen cases of cell data leaking. But the small monthly cost of the apps are worth if it means the apps don’t make money off your data, like serving you ads. Some apps will ask you for access to your phone contacts — be extremely mindful of this. The three apps we’ve selected balance privacy, cost and their features. Nomorobo has a constantly updated database of more than 800,000 phone numbers which lets the app proactively block against spammy incoming calls while still allowing legal robocalls through, like school closures and emergency alerts. It doesn’t ask for access to your contacts unlike other apps, and can also protect against spam texts. It’s $1.99 per month but comes with a 14-day free trial. Available for iOS and Android. You may find one app better than another. It’s worth experimenting with each app one at a time, which you can do with their free trials. There are some more drastic but necessary options at your disposal. Both iOS and Android devices have the ability to block callers. On one hand it helps against repeat offenders, but on the other it’s like a constant game of Whac-a-Mole. Using your in-built phone’s feature to block numbers prevents audio calls, video calls and text messages from coming through. But you have to block each number as they come in. 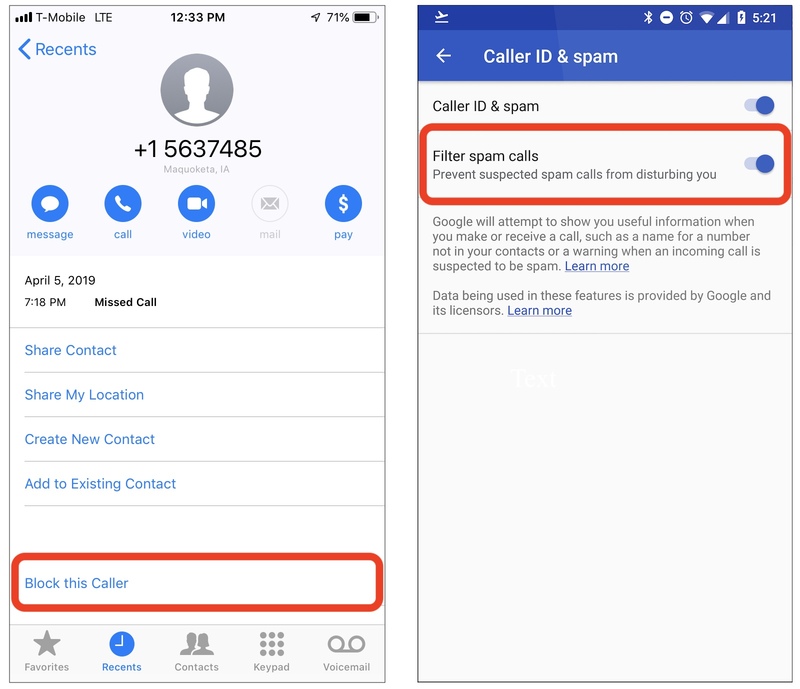 How to block spam calls on an iPhone (left) and filter spam calls on Android (right). Some Android versions are different, but for most versions you can go to Settings > Caller ID & Spam and switch on the feature. You should be aware that incoming and outgoing call data will be sent to Google. You can also block individual numbers by going to Phone > Recents and tapping on each spam number to Block and Report call as spam, which helps improve Google spam busting efforts. iPhones don’t come with an in-built spam filter, but you can block calls nonetheless. Go to Phone > Recents and tap on the information button next to each call record. Press Block this caller and that number will not be able to contact you again. You can also use each device’s Do Not Disturb feature, a more drastic technique that blocks calls and notifications from bugging you when you’re busy. This feature for both iOS and Android block calls by default unless you whitelist each number. 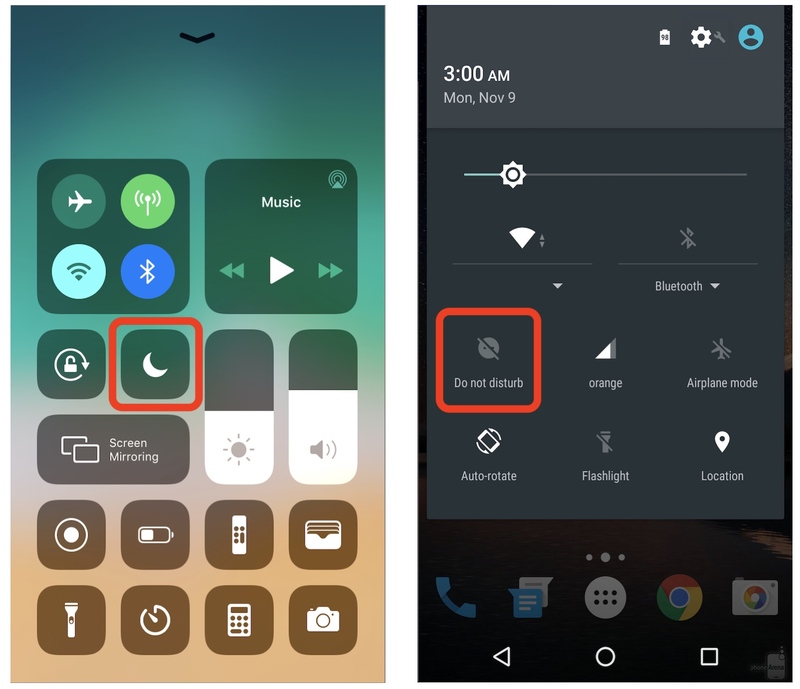 How to enable Do Not Disturb on an iPhone (left) and Android (right). In Android, swipe down from the notifications area and hit the Do Not Disturb icon, a bubble with a line through it. To change its settings, long tap on the button. From here, go to Exceptions > Calls. If you want to only allow calls from your contacts, select From contacts only or From starred contacts only for a more granular list. Your phone will only ring if a contact in your phone book calls you. It’s almost the same in iOS. You can swipe up from your notifications area and hit the Do Not Disturb icon, shaped as a moon. To configure your notifications, go to Settings > Do Not Disturb and scroll down to Phone. From here you can set it so you only Allow Calls From your contacts or your favorites. Robocalls aren’t going away unless they’re stamped out at the source. That requires an industry-wide effort — and the U.S. just isn’t quite there yet. You might be surprised to learn that robocalls aren’t nearly as frequent or as common in the Europe. In the U.K., the carriers and the communications regulator Ofcom worked together in recent years to pool their technical and data sharing resources to find ways to prevent misuse on the cell networks. Collectively, more than a billion calls have been stopped in the past year. Vodafone, one of the largest networks in Europe, said the carrier prevents around two million automated calls from reaching customers each day alone. Though collaboration and sharing spam numbers is important, technology is vital to crushing the spammers. Because most calls nowadays rely in some way on voice-over-the-internet, it’s easier than ever to prevent spoofed calls. 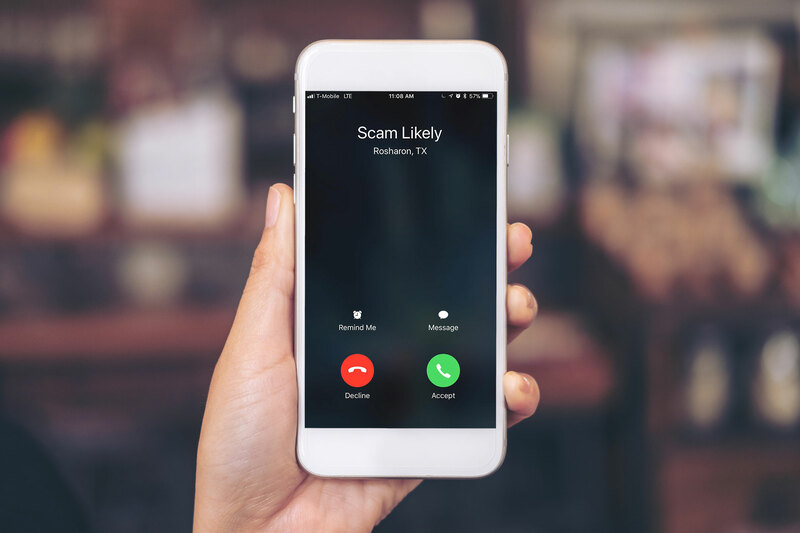 Ofcom, with help from privacy regulator the Information Commissioner’s Office, plans to bring in technical solutions this year to bring into effect caller authentication to weed out spoofed spam calls. The reality is that there are solutions to fix the robocall and spammer problem. The downside is that it’s up to the cell carriers to act. Federal regulators are as sick of the problem as everyone else, ramping up the pressure on the big four to take the situation more seriously. Earlier this year, the Federal Communications Commission chairman Ajit Pai threatened “regulatory intervention” if carriers don’t roll out a system that properly identifies real callers. One authentication system would make call spoofing nearly impossible, known as Secure Telephone Identity Revisited and Signature-based Handling of Asserted Information Using Tokens — or STIR/SHAKEN. The system relies on every phone number having a unique digital signature which, when checked against the cell networks will prove you are a real caller. The carrier then approves the call and patches it through to the recipient. This happens near-instantly. The carriers have so far promised to implement the protocol, though the system isn’t expected to go into effect across the board for months — if not another year. So far only AT&T and Comcast have tested the protocol — with success. But there is still a way to go. Until then, don’t let the spammers win.